BonePain was the first European training network within bone pain. The network consisted of 8 academic groups and 3 industrial companies, all leading within their fields. It was running from Jan 1, 2015 until Dec 31, 2018. 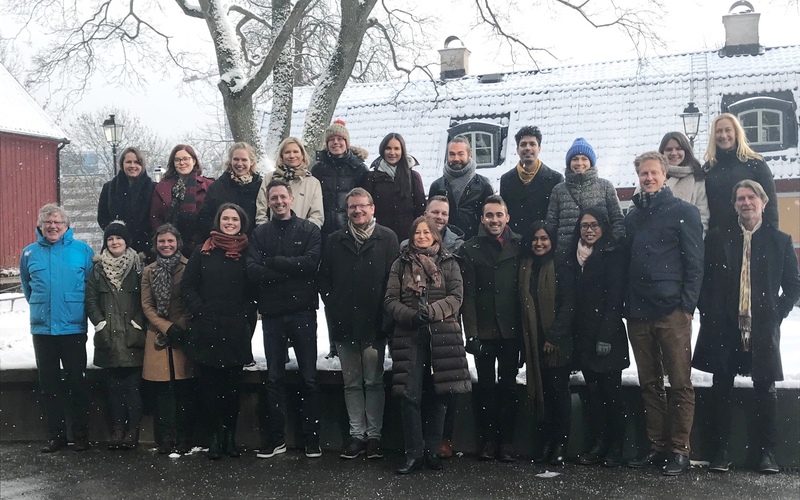 It trained 14 early stage researchers from 11 different countries from Ireland to Iran, Indonesia and India in the fields of arthritic pain, cancer pain and fracture pain. In addition to their research skills, the young researchers broaden their transferable skills, gained experience in presenting their research finding to a scientific audience at conferences and workshops as well as to the public. The early stage researchers have published their research findings in scientific publications such as Arthritis & Rheumatology. The project received funding from the European Union’s Horizon 2020 research and innovation programme under the Marie Sklodowska-Curie grant agreement No 642720. We train independent, creative and innovative scientists by providing cutting-edge knowledge and a broad range of frontline scientific and transferable skills that make our PhD students top candidates across Europe for positions in the academic and non-academic sector. The BonePain Network holds a series of network wide training events where beneficiaries, ESRs, partners and invited speakers will discuss the progress of the programme, meet one another and form collaborations and offer training courses on specific topics to the ESRs. The BonePain Network encompasses 8 academic beneficiaries, 3 industrial beneficiaries and 1 industrial partner all committed to creating an outstanding training program for early stages researchers to elucidate the mechanisms of bone pain and develop new medicines.